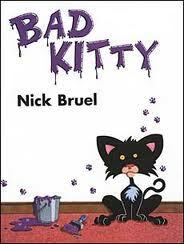 Nick Bruel – we’re fans! Our reading groups started this week. Everyone is very excited to build new skills and to reflect on the many skills we have. We started with a rhyming book by Nick Bruel, recommended to us by Ms. Morden. Students realized that they could fill in the blanks as I read aloud by paying attention to both the rhyming words and the context clues (a new term for many of us). This is one of the many skills that good readers (like us!!) possess. 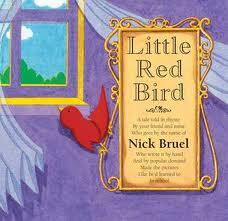 Little Red Bird is written and illustrated by Nick Bruel. A lovely story about choices, freedom and unexplored places. 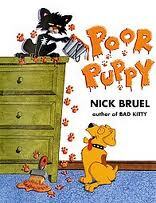 Nick Bruel is popular in our class. His books Bad Kitty and Poor Puppy are picture book favourites. 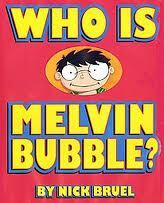 Who is Melvin Bubble? is a fantastic read aloud and the perfect inspiration for creative writing. This entry was posted in Classroom Views and tagged bird books, context clues, favourite illustrators, fiction, great read alouds, Nick Bruel, picture books, reading group by carriegelson. Bookmark the permalink.